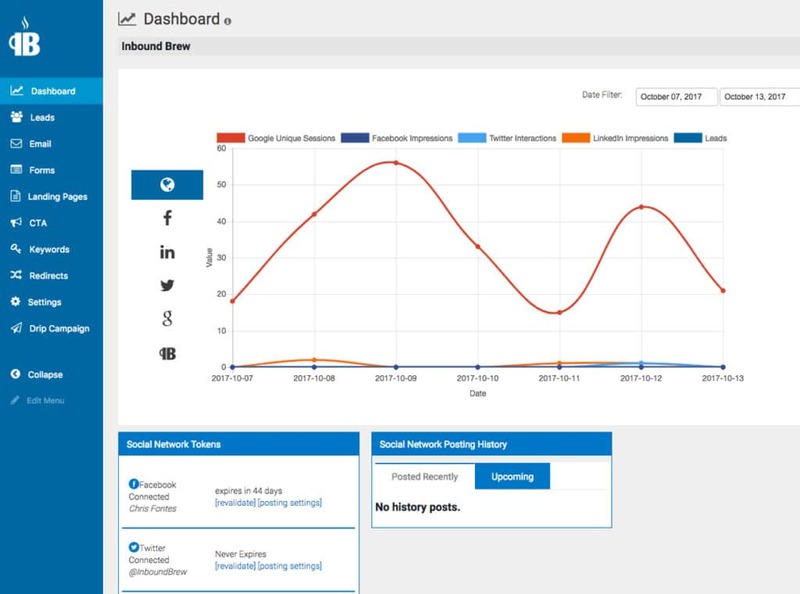 Our plugin makes it ridiculously easy to bust out marketing campaigns in as little time as possible. 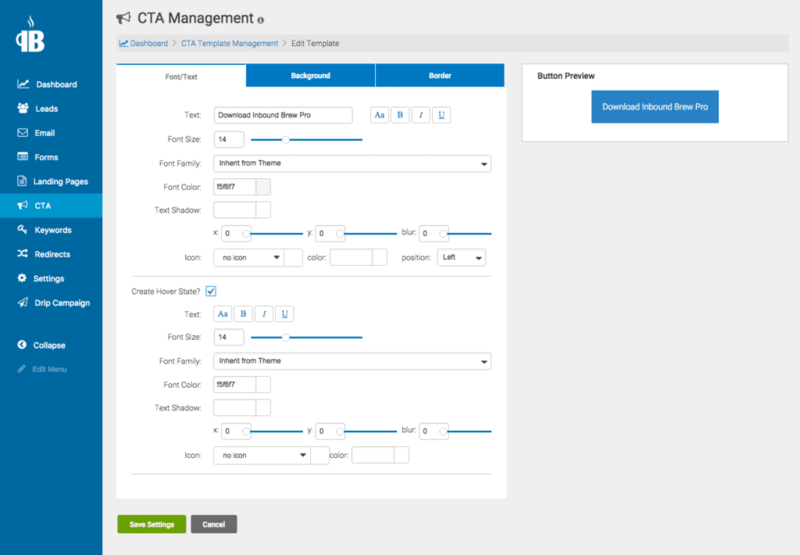 Call To Actions (CTAs) create a entice your visitors to dig deeper. With Inbound Brew Pro, you get a CTA builder, the ability to upload your own image, a Top Bar CTA, and Before you Leave popup CTAs. 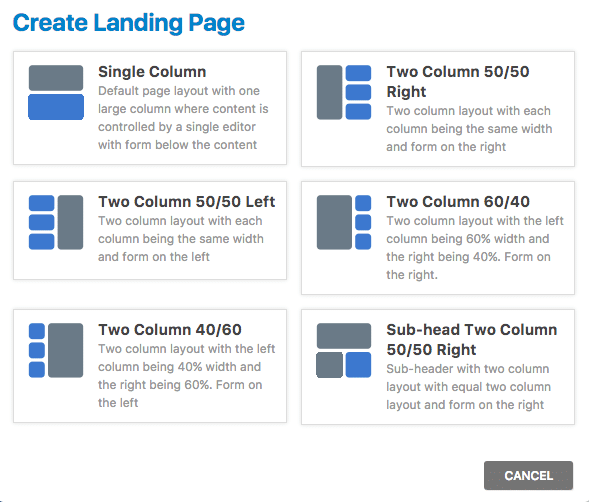 Landing Pages have one purpose – tell them what they are going to get for giving you their email address. And with Pro, there is no coding or FTP required to get your Landing Pages off the ground! Create custom Contact Forms, including custom fields, and capture the information you care about. Let the system help dictate how hot a lead is. 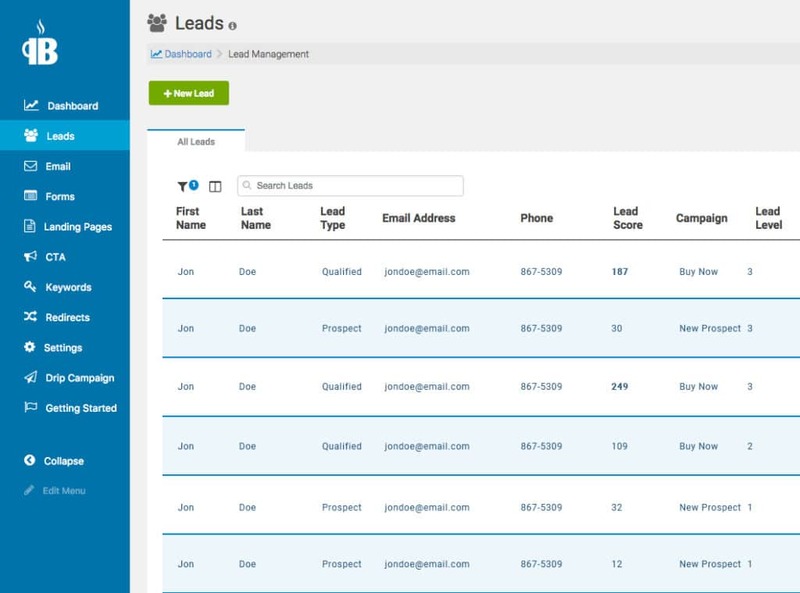 With lead scoring, you decide how a lead should be ranked based on the interactions they’ve had with you. Viewed a “buy it now” page? Score them high! Create custom emails and then automatically enroll leads into drip campaigns so you can easily stay in contact with your leads at the frequency you determine. If the lead happens to take an action that is tied to a more aggressive drip campaign (like downloading an eBook, etc), you have them automatically moved into the next campaign! Basically you just sit back and relax as your leads drive themselves down your marketing funnel. You spend time on your blog posts and pages, but you shouldn’t have to spend time on posting those to your social accounts. 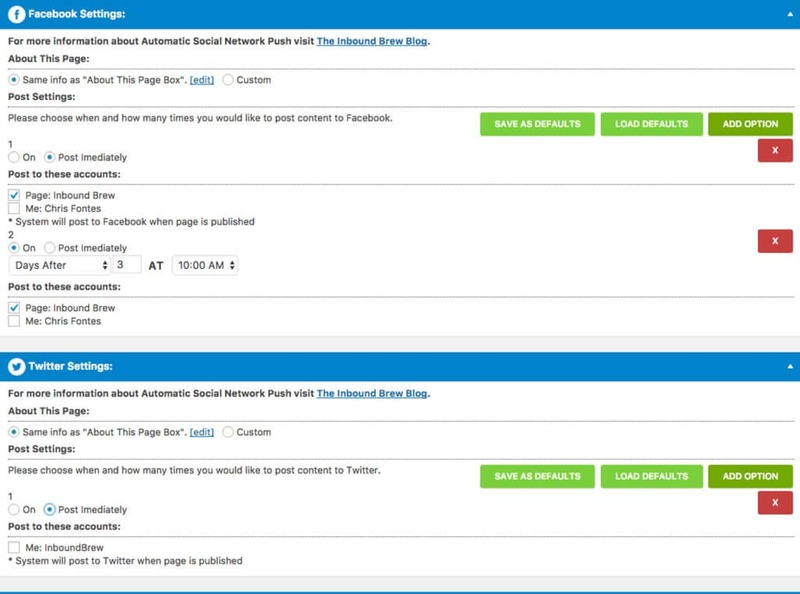 Our premium plugin can automatically post to your social media accounts either immediately, or on a schedule, and as many times as you want! The technical side of SEO can be confusing. 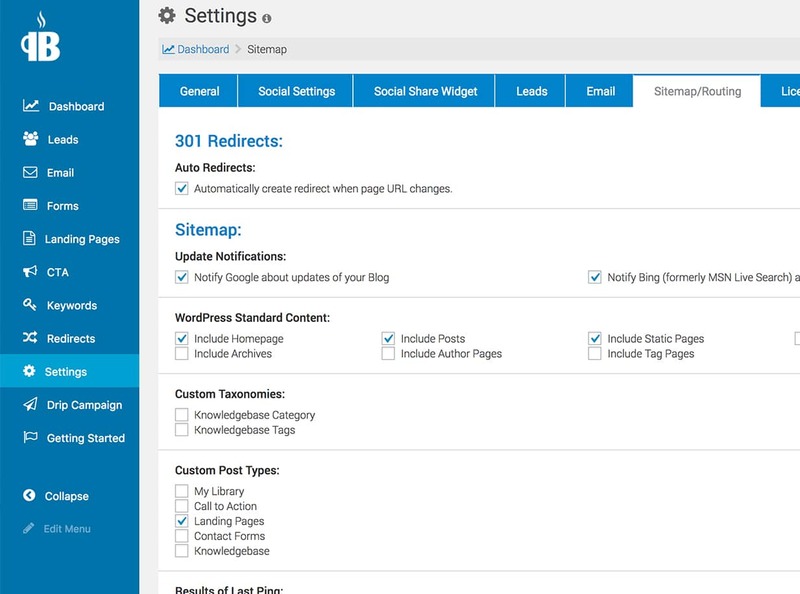 Delegate the tricky stuff to the plugin from Sitemaps, Robots.txt files, redirects and more. Signup today and get 14 days free!